Men suffer from SUD at a rate higher than any other population. Various factors, such as physical injury for which they started taking and abusing painkillers and the constant pressure to live up to societal standards of masculinity, contribute to the ongoing epidemic of male substance abuse and addiction. Men’s rehabs provide targeted and specialized treatment that addresses the unique factors and acute and macro stressors that drive males toward substance abuse. More and more treatment facilities have begun to offer gender-specific addiction care to address these populations and provide the best possible care for substance use. What Do Men’s Rehabs Entail? Men’s rehabs can be offered in both residential and outpatient treatment paradigms. Patients in residential men’s rehab programs stay in all-male housing facilities like their counterparts in women-only treatment. 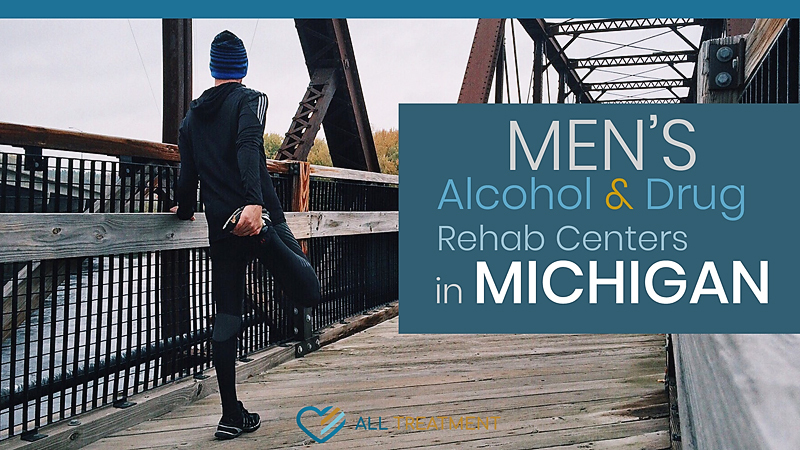 Throughout the course of men’s rehab, patients receive targeted behavioral care that addresses every day and gender-related factors that have caused dysfunction and subsequent drug or alcohol use in their lives. Upon completion of their program, patients will receive aftercare plans that allow them to expand the emotional progress and discovery they made in treatment while connecting them with mental health professionals and support groups in their area.